It does... for random items including uncraftable, it's 4000. If you are using crafted items only, then it has all of them. Thanks for the response! I'd personally like the option to alter it in the config but it's not a huge deal, just something to consider when you have the time! Cheers! RIP dreams: Ever wanted to make a fountain of sheep dance over the open ocean? how to disable Nether Portal pet? You can't make up a config line... you can only toggle existing values on the right side of the equals. 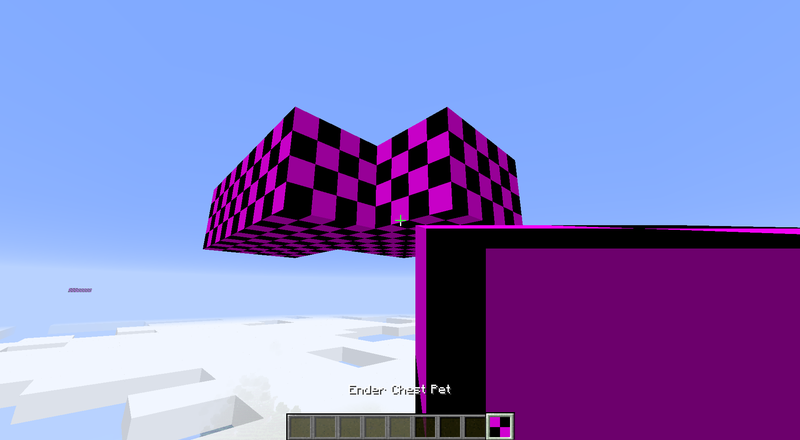 Recommend you just exclude the Nether Portal Pet. Find this line and set it to "true"
there is no mod others than Inventory Pets. Clearly there is a problem. mod not loading the textures. "[14:41:49] [Client thread/DEBUG] [FML/]: Item json isn't found for 'ınventorypets:anvil_pet#inventory', trying to load the variant from the blockstate json"
this problem not happening on twitch client. But its happening on technicpack.net modpacks. even I delete all other mods its happening anyway. maybe problem is simple letter problem "ınventorypets:petAchieveItemGeneral#inventory"
you use "ı" instead "i" is that the problem ? Hey there. I've just tested and don't see problems (of course, why would the dev ever see a problem?). But... I have seen this before. 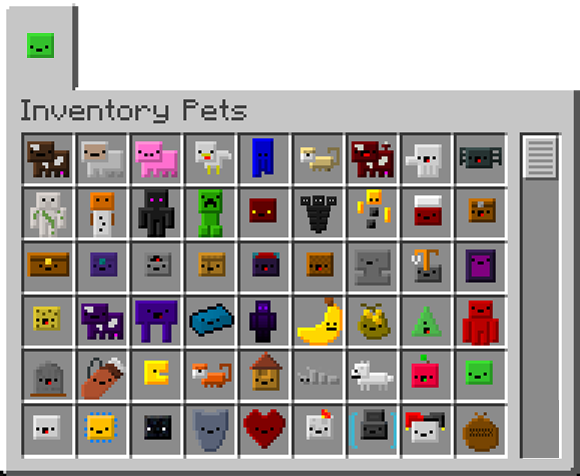 Try downloading a fresh copy of Inventory Pets from CurseForge and try again. That has worked for me. well I try to do that didnt work. I had to remove the mod sorry. That weird ı is not in my code.... and no-one else has reported the problem, with nearly 80k downloads of this version. And it works fine for me.... on the version of Forge you are using. I am so confused... still working on it. just make a test pack for yourself on technic and try it out. easy to replicate this result. No problems. I did find some article that said this can happen with the launcher under certain circumstances if the computer language is not set to English, but I dunno. I have a theory. Going to send you a DM with a test link. By any chance Purplicious Cow can you tell me how can I increase the spawn rate of the tree chests to find the slime pet? I'm on version 1.7.10, I just rarely find any chests in the trees. It's funny, I get complaints both ways.. Too many tree chests.... not enough. Well, yes, you can modify it yourself. There's a setting in the config file called Frequency of Tree Dungeons. Set it higher... to say 8 (highest is 10). 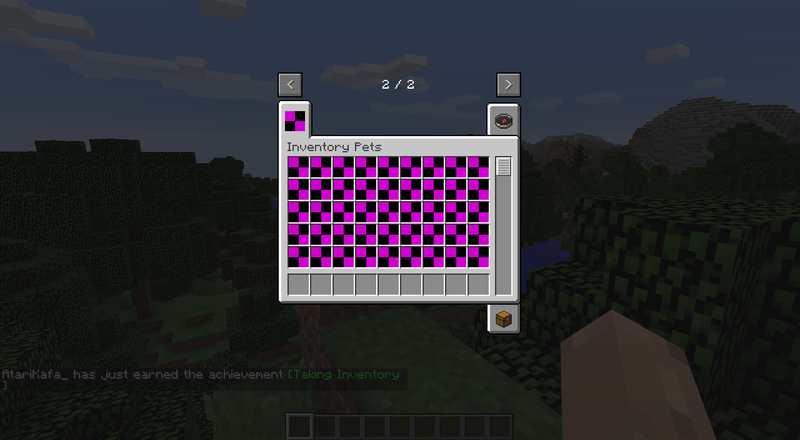 You'll need to generate new chunks or create a new world to find them. And keep in mind they only spawn in vanilla normal Forests or Birch Forests. Love the mod; thanks for the great updates - very helpful! Reworked Sea Caves to fix longstanding Cascading World Gen error. Hey there! When I first saw this mod, I wasn't 100% sold on it, but I decided to try it out. So glad I did, it's fun and cute! I do have one question - when using the mod with Tinker's Constructs, the loot bag pet doesn't seem to work on Copper and Tin, but it does work for Cobalt. Why is that? Thanks for your time! Tinker's has a different approach to blocks... it uses only one block and then determines what the block should be based on meta data. Just to make it nice and challenging for us modders. Can look into it.